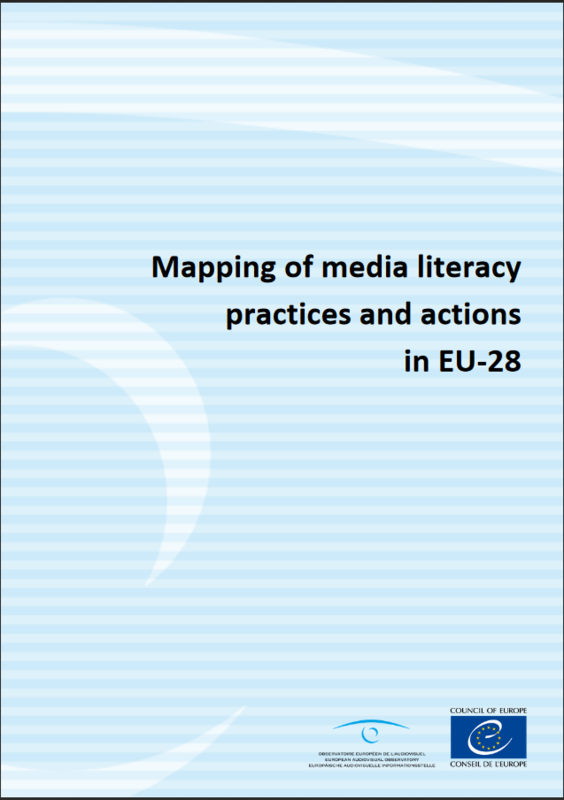 On the 28 March 2017, the European Audiovisual Observatory (EAO) has published a noteworthy report entitled “Mapping of media literacy practices and actions in EU-28”. The study is focused on projects relating to media services delivered on electronic communication networks, both linear and non-linear, and on information services where pertinent, excluding from its scope press, radio and off-line media. As regards to its material scope, the EAO report lists only media literacy actions that have taken place outside schools. This study has been commissioned to the EAO by the European Commission and co-authored by Martina Chapman, Director of Mercury Insights, who has examined all the data previously gathered by the EAO and transformed it in a comparative analysis. As for the methodology used for the preparation of the report, a questionnaire was sent to national experts in each EU country who have been asked to identify 20 significant media literacy projects in their country and to provide more analytical information on the five most significant of them. The latters have been used for a case-study research. The responses were afterwards cross-checked with the members of the EU Media Literacy Expert Group (MLEG) and presented during its yearly meeting in November 2016. Stakeholders: Of the 939 identified main media literacy stakeholders, over a third were categorised as “civil society” (305), followed by “public authorities” (175) and “academia” (161). Over two-thirds of them do not have a statutory responsibility in this area and base their involvement on a different motivation. Types of projects: Since the level of activity differs a lot between countries, of the maximum of 580 projects (20 possible projects for each of the 29 respondents, but not all of them were able to detect 20), only 547 were identified. The most common project type is “resources” (173); the second is “end-user engagement” (107). Media literacy skills: “critical thinking” is the clear winner, being dealt with by 403 of the 547 projects, followed by “media use” (385). Scale: over one-third of the analysed projects (228 of 547) were the result of “cross-sector collaboration” and the vast majority of them were of national importance (409), with 95 categorised as regional and 43 as European. Degree of significance: for the top 145 projects, on the one hand the most common audience group concerns “teens and older students”, and this despite the exclusion of curricular-based projects. On the other hand, only 7 projects had as target group “older people”. The objective of this research is to provide mapping and description (and not a complete picture) of the most significant projects in the promotion of media literacy in the EU-28 member states, since January 2010, of national or regional coverage. The “Mapping of media literacy practices and actions in EU-28” report will be presented in detail by Ms. Maja Cappello, Head of the Department for Legal Information of the EAO and editorial supervisor of the publication, on the occasion of the Working group on “Media literacy: mapping key initiatives & researching media use” during the 45th EPRA Meeting in Edinburgh which will convene on the 18th of May. This working group will be content produced by the co-author of the study Ms. Martina Chapman.